In McHenry County, Axberg has earned a reputation for quality heating and cooling services. Our team is ready to assist homeowners and business owners in Harvard and the surrounding communities any time a problem strikes. From keeping furnaces running to fixing leaking pipes, we can do it all! Reach out to Axberg for Harvard, IL, home comfort services. Call (815) 873-6003 for service. Axberg has a team of heating and cooling professionals that can help you keep your home comfortable. We put home comfort as the top of our priority list and will work hard to ensure your systems are working as they should. With a full line of HVAC services and a dedicated team you can count on, Axberg is the only name you need to know when facing air conditioning or furnace problems. For HVAC services for all of your home comfort systems in Harvard, IL, call (815) 873-6003 or contact the Axberg team online. Plumbing isn’t something to tackle without the right training. Axberg has a team of licensed, certified plumbers who can get to the bottom of your problem. Whether you have a pesky leak you need to address or had a frozen pipe this winter, our team will quickly provide a solution that will get your systems back up and running. 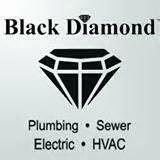 We also offer plumbing installation services and can install that new water heater for you in no time. Do you have a plumbing need in Harvard? Call Axberg for service today. In addition to plumbing and HVAC services, Axberg has a team of certified electricians who are ready to assist you. From wiring trouble to installing that new ceiling fan, we can get the job done well. We keep safety in mind at all times, ensuring your new electrical job serves your family well. If you are tackling an electrical job, make sure it is done safely. Call (815) 873-6003 to contact a Harvard electrician at Axberg. The Axberg team understands that home comfort problems often happen outside of normal business hours. That’s why we are here for you 24 hours a day, 7 days a week. Whether it is the middle of the night when a pipe bursts or your furnace fails on Christmas day, you can call our experienced and friendly team. For plumbing, HVAC, or electrical emergencies in Harvard, don’t hesitate to contact the Axberg team. At Axberg, we are ready to assist you whenever a home comfort need arises. Our award-winning team has the knowledge and skill to get the job done right. We are here for you whenever a problem arises and will offer prompt, reliable repair services. Reach out today at the first sign of a problem. Call Axberg for home comfort services in Harvard at (815) 873-6003. You can also contact us online for help. Our AC went out on one of the hotest days of the year. Mark Melaas was on time and fixed us up quickly. He took the time to explain all the details of the repair and offered excellent advice on how to keep our house cool. Promp service with a smile I would recomend this company! Thank you Dave you saved the day! During winter storm and night before the Super Bowl, furnace went down with bad ignitor...timing. The technician was here in an hour and heat was back on shortly after that. Very happy with my experience. Repairing condensation line that's cracked and leaking.